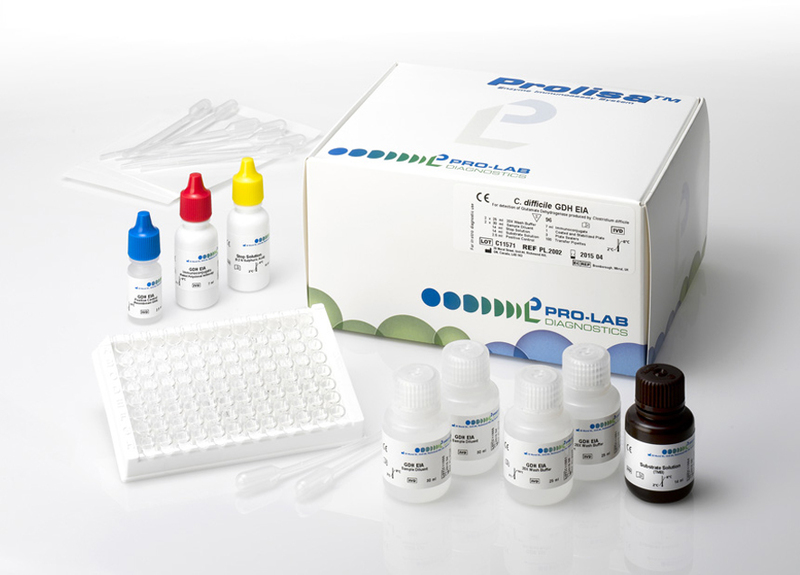 The Prolisa™ C. difficile GDH EIA is a microwell assay for the qualitative detection of Clostridium difficile glutamate dehydrogenase (GDH) in faecal specimens. The Prolisa™ C. difficile GDH EIA is intended for use as an aid in the diagnosis of C. difficile infections. This test detects GDH and will not differentiate between toxigenic and non-toxigenic strains of C. difficile. Like alternative C. difficile tests, results should be considered in conjunction with patient history and additional laboratory investigations.